Workhop ‘Voice and Space’ with public presentation and solo performance with project ‘Aurora’ at Contrabando, Rua Mártires da Liberdade, 83 – 4050-361 Porto, Portugal. Fb Event. Organized by Patrícia Martins. The workshop will start at 15h00. 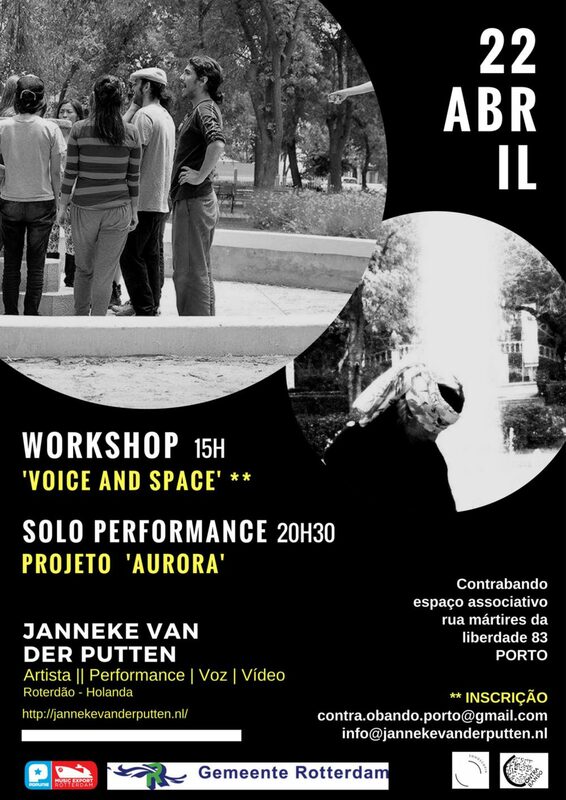 The public presentation of the workshop and the solo performance will start at 20h30. To participate please email to contra.obando.porto@gmail.com, mentioning your name, age, and your expectations of the workshop. The workshop fee is 10€.